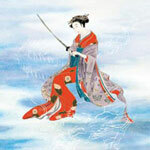 Former Rippingtons super group Jeff Kashiwa has wrapped production on his five solo album. Producers Brian Bromberg, Mike Ricchiuti, and Chuck Loeb, Jeff returns in full form with a collection of ten original Smooth Jazz tracks featuring special guests Jeff Lorber, Dan Siegel, Russ Freeman, James Lloyd from Pieces of a Dream. The new CD also features a bonus cut performed by The Sax Pack, featuring Kim Waters and Steve Cole. The album includes the hit single "Peace of Mind," "Ecstasy," "Homeward Bound," and "Stay With Me." In stores since August 24th on Native Language. RPM reissue on MTM Classix! MTM CLASSIX is proud to present the release of RPM's debut album on CD for the first time. The men behind RPM are the American AOR stars Robert White Johnson (vocals), Mark Gendel (guitar), Jimmy Lee Sloas (bass) & Tommy Wells (drums). The self-titled debut was released by EMI in 1982 on vinyl only and has become a rare and hard to find collector's item. Fans will be happy to know that the new CD reissue by MTM CLASSIX includes 5 previously unreleased bonus tracks. Laura Branigan dies, a dramatic piece of news. 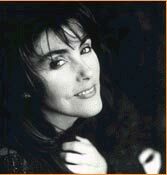 On August 26, 2004, world-renowned singer, actress, and songwriter Laura Branigan passed away at her East Quogue, New York residence of a brain aneurysm. Laura Branigan was 47. Laura Branigan is survived by her mother, Kathleen Branigan, brothers Billy and Mark, and sister Susan. Her husband, Lawrence Krutech, preceded her in death. Laura Branigan was most recently working on material for a new release. Laura Branigan's life, legacy, and contributions to popular music will be remembered not only with fond memories and thoughts, but through thecontributions of new artists who follow Laura Branigan example of putting total feeling and emotion into every note they sing. There is an incredible beautiful tribute to Laura Branigan at the first page of her official website. ’Cause I know you by heart..."
"I want to touch people's hearts, to get right down to their souls." Laura Branigan, singer and actress, was born on July 3, 1957 in the upstate New York town of Brewster and raised in nearby Armonk, New York. It wasn't till her senior year in high school, where she performed the lead role in a school musical, that she began to consider an entertainment career. After graduation from high school, Laura moved to Manhattan and attended The Academy of Dramatic Arts. In the late 70's, she toured Europe as a backing vocalist for Leonard Cohen. Upon Laura's return to New York, it became clear to her that she wanted to pursue a career as a solo artist. Laura Branigan's powerful talent as well as her drive and determination led to her being signed by Atlantic Records. Laura Branigan's first major appearance on the pop scene was with the anthem "Gloria" in 1982, which has become the signature song of her career. The track came from Laura Branigan's debut album, Branigan. "Gloria" was an enormous hit single, rising to the top of the Billboard charts and staying on the charts for an amazing thirty-six weeks. Laura received a Grammy nomination for Best Pop Vocalist Female for the song. In 1983, Laura released Branigan 2 and had two more top ten hits with "Solitaire" and "How Am I Supposed To Live Without You," confirming her status as a major artist. Laura could also be heard on the Flashdance soundtrack with "Imagination." Her musical involvement with the film led her to receive her second Grammy nomination. In 1984, the album Self Control was released with the title track, "Self Control" reaching the top ten. Another single from the album, "The Lucky One" went top 40. Laura Branigan also won the coveted Grand Prize at the 13th Tokyo Music Festival for her riveting performance of "The Lucky One." Laura Branigan’s album "Hold Me" was released in 1985 and included the top 40 hit "Spanish Eddie". In 1987 "Touch" was released with the ballad, "The Power of Love”, returning Laura to the top 40. Throughout the 80's, Laura Branigan's songs also appeared on the "Ghostbusters," "Body Rock," "Coming To America," and "Salsa" soundtracks. During the 90's, Laura Branigan released "Laura Branigan" in 1990 and "Over My Heart" in 1993. In 1995, a US greatest hits collection called "The Best of Branigan" was released. There have been several international greatest hits compilations released also, the most recent being the "South African Back In Control" in 1999. Laura Branigan has performed for audiences in the United States, Canada, Europe, South America, Asia, and Africa, touring the world several times. Laura Branigan's acting credits have included television's "CHiPs", among others, and the films Mugsy's Girls and Backstage. During the late 90's, Laura Branigan took a hiatus from performing, doing only the occasional concert. In early 2001 she made her return to the studio. 2002 saw the release of "The Essentials", a digitally remastered hits compilation. During 2002, Laura also performed the role of the singing Janis Joplin in the hit New York City musical "Love, Janis." 2004 has seen the release of "Self Control 2004" and "Gloria 2004", collections of remixes of the original Laura Branigan classics produced by some of Europe's top remixers, which feature stunning, newly-recorded vocals by Laura. Laura was currently at work performing concerts at various venues, as well as continuing to record her album of new material, and it was with great expectation and anticipation that fans everywhere were awaiting its release. Laura was back touching audiences once again with the unique four-octave range voice, consuming passion, and undeniable power that was pure Branigan! Sadly, Laura Branigan passed away suddenly on August 26, 2004 from a brain aneurysm. Laura Branigan lives on through her music and through the wonderful memories of her beloved family, friends, and fans worldwide. - audio: Me and Bobby McGee by Laura Branigan for a radiostation in New York City (2002). "Question: These days, what are live shows like? Do you play music from the McDonald era? Tom Johnston: A good portion comes from 1972-1976. We also do stuff from the 2000 album. We play one of Michael's songs, "Takin' it to the Streets." There are certain songs you have to play, otherwise people are unhappy." Richard Marx is back with "My Own Best Enemy," his first major studio album since 1997. Marx will be performing his current single "When You're Gone" and two of his older hits ("Right Here Waiting" and "Endless Summer Nights") on The Saturday Early Show's Second Cup Café on CBS this saturday. Richard Marx will be playing acoustically with Vertical Horizon lead singer Matt Scannell. More information there. Tears For Fears founding members Roland Orzabal and Curt Smith, reunited after more than a decade to announce the release of "Everybody Loves A Happy Ending", their first album together since their 1989 platinum selling "The Seeds Of Love". "Everybody Loves A Happy Ending" Tears For Fears new album arrives in stores on September 14 from Universal Music Enterprises. Tears For Fears fans around the world will relish the first new songs written by Roland Orzabal and Curt Smith in some 15 years, including the title tune, along with "Closest Thing To Heaven," "Call Me Mellow," "Who Killed Tangerine?" "Killing With Kindness," "Ladybird," and "Last Days On Earth." Tracks written by Roland Orzabal include "Size Of Sorrow," "Quiet Ones," "The Devil," and "Secret World." "Who You Are" is credited to Curt Smith and Charlton Pettus (their collaborator and co-producer). One of the most beloved British bands to emerge in the post-New Wave era of the early 1980s, Tears For Fears broke through in 1985 with the back-to-back hit singles "Everybody Wants To Rule the World" (#1 US, #2 UK), "Shout" (#1 US, #4 UK), and "Head Over Heels" (#3 US, #12 UK). The hits sent Tears For Fears's second album, SONGS FROM THE BIG CHAIR, to #1 on the Billboard 200 album chart for 5 weeks that July and August. The album went on to spend 83 weeks on the US chart (where it was certified 5-times platinum by the RIAA) and 81 weeks on the UK chart. Tears For Fears came together in 1981, after childhood friends Roland Orzabal and Curt Smith (who grew up together in Bath, England) made their first records with the band Graduate. Tears For Fears took their name from the teachings of Arthur Janov (whose primal scream therapy greatly influenced John Lennon). They released their first singles in 1982 ("Mad World," #3 UK) and '83 ("Change," #4 UK; and "Pale Shelter," #5 UK), all from their debut album, "The Hurting". After the success of 1985's "Songs From The Big Chair" and the debilitating world tour that followed, Tears For Fears took a long recess. They returned in 1989 with an amazing new single, "Sowing the Seeds Of Love" (#2 US, #5 UK) and the platinum album "The Seeds Of Love" (#1 UK, #8 US). The album included "Woman In Chains" which launched the career of guest vocalist Oleta Adams, who was singing at a Kansas City hotel lounge when Roland Orzabal and Curt Smith first discovered her during a Tears For Fears tour. Curt Smith departed in 1990 to pursue solo projects, and the first of many best-selling Tears For Fears anthologies was issued that year ("Tears Roll Down"). Roland Orzabal continued with Tears For Fears, releasing "Elemental" in 1993 (essentially a solo album), and "Raoul And The Kings Of Pain" in 1995, the final Tears For Fears album until now. Solo projects from Curt Smith (1993's "Soul On Board", and 1998's "Mayfield", on his own Zero-Disc label) and Roland Orzabal (2001's "Tomcats Screaming Outside") have kept them busy until the time was right to reconvene Tears For Fears last year. You can listen to some tunes of "Everybody Loves A Happy Ending" Tears For Fears new album at Tears For Fears beautiful official website. Daryl Hall and John Oates "Our Kind Of Soul", a Soul classic album will be released on October 26 on U-Watch Records in The States. Daryl Hall and John Oates "Our Kind Of Soul" album will contain 15 classic soul songs, stripped down and re-worked as only Daryl Hall and John Oates can! In addition are 3 original Daryl Hall and John Oates studio tracks. The first single from "Our Kind Of Soul" album will be the Daryl Hall and John Oates version of The Spinners' classic "I'll Be Around." It will go to AC radio on August 30. You can listen to it for free at this address and you can read a review of "I'll Be Around" single here at Billboard website. In addition, Daryl Hall "Live In Philadelphia" CD is currently being manufactured and will be available via in September. This will be an extremely limited edition release. TMG 1, the Tak Matsumoto Group is a new band featuring drummer Chris Frazier, bassist Jack Blades (Night Ranger / Damn Yankees), guitarist Tak Matsumoto (B's) and vocalist Eric Martin (Mr Big). This is a great album of classic hard rock, updated to a contemporary feel combining Tak's music with the great lyrics of Eric and Jack. TMG 1, was released in June 23rd in Japan and would be released in europe in november. Stay tuned! Phil Collins will release a "Live In Paris" DVD from his current tour later this year. Work is nearly complete on the DVD of Phil Collins' European Tour. Nick Davis has been putting the finishing touches to the project at a studio on London's South Bank. Recorded in Paris, the huge audience and Phil Collins and the band are clearly enjoying themselves enormously as they perform Sussudio at the end of the set. At one hilarious point, Phil Collins nearly disappears bodily into the crowd when a most enthusiastic lady grabs him and won't let go as he involves the audience in a chorus singalong. The sound is superb and the picture quality crystal clear. Release is expected later this year - and expect a lot of extra goodies on the DVD to make it an invaluable addition to your PC collection. So, this DVD will show Bill Cantos on backing vocals. Shania Twain's "Greatest Hits," the first ever greatest hits album from the multi-Grammy, platinum-selling artist will be released November 9, 2004 on Mercury Nashville/Universal. Shania Twain's "Greatest Hits" 21-track album will consist of Shania Twain's chart-topping hits, as well as three brand new songs. Shania Twain has celebrated 16 top ten career hits -- 10 of which have reached the top five and 8 secured the elite no. 1 spot. With her most recent album UP! earning certification of 10x platinum by the Recording Industry Association of America, Shania Twain is the only artist in history to have three consecutive 10x platinum certified albums. The other two being The Woman In Me (12x platinum) and Come On Over (19x platinum). "Party for Two," the first single to be released to radio, is recorded in two versions. In one version, Shania Twain pairs with Sugar Ray front man Mark McGrath, the other with country newcomer Billy Currington. Videos for both versions were recently filmed in Europe and are scheduled to begin airing in September. "I wanted to put together all of my favorite songs from over the years for a fun, high energy album. This record is exactly that, as well as a dedication to all of the passionate fans that have enjoyed and supported me throughout the years," exclaims Shania Twain. "Love Gets Me Every Time"
"No One Needs To Know"
"Whose Bed Have Your Boots"
"Party for Two' (with Mark McGrath)"
"Party for Two (with Billy Currington)"